What Do We Do? The stuff you don’t want to do. We draw the line at cleaning your toilet but really your mission in business is to create something great, create your wealth, your legacy your impact – not worry about when your tax should be lodged. We take care of the regulations, the requirements, the must do’s. The boring stuff if you may (just be careful how you put that to an accountant though…some of us live for that s*#). We can work with you all the way from bookkeeping and getting your life in order, through to management success meetings and coaching. We can be like that annoying aunt that is always in your face asking a million questions to the dentist reminder card that you get each 12 months to say whilst you don’t like this experience – it is time. The choice is yours but our preference is that we are a part of your business and your decisions within this business. We want to be the business partner without the profit share. our most utilised packages and services. This is where we complete your legally required lodgements annually. There’s no escaping our meddling though because every client that we work for has a team that are each competing to come up with the best improvement strategy or recommendation for your business. As part of our process we aim for a minimum of 3 points that we can recommend changes to, to improve your business and life. So whilst doing the ‘musts’ and your minimum requirements in business, we will also be looking for how we can change things up some. You want to still drive the bookwork but you want someone to do the reporting. We get that. You have your hand in and you know what is going on in the day to day and week to week but leave the reporting to the nerds, I mean experts. We have you covered. The works (but please no beetroot, it just makes everything soggy) This is where we do all of the essentials and do your book keeping. We do all of those things needed for the tax office and government bodies and we give you peace of mind that the book keeping is taken care of and you can sleep well knowing it’s all in hand. You know ahead of time what you need to do before 30 June, how you have performed, suggestions for next year and any structure changes required. You get a health check before year end to make sure you know exactly what comes next. This is also our favourite package as it is where we spend time in ‘getting you ready’ and supporting you. If I told you tomorrow you were running a marathon at the end of the month what would you immediately do? Get a coach. Being in business can be sometimes like being in a marathon. You come out strong and full of energy, enthusiastic on where this course is going. You get a few k’s into it and the landscape looks the same, people are passing you, you get a little deterred and the breathing gets harder. Then you get to half way and start to doubt yourself, is this what I wanted, man this is getting harder, my muscles are sore, can I go on. This is why you need a coach. Someone to work with the guide you through all these thoughts and timelines. You get one for sport and exercise and you most certainly need one for business. At any time in life I usually have two coaches. One for my business and one to keep my life in order and keep me present. It’s what makes successful people successful. So KLAS do that too. We review your current structure and supply recommendations on how this can be better. We are mindful of protecting your assets and your wealth whilst legally minimising your tax. This is the most important area of any business and our core focus when taking you on as a client. The foundations need to be right to make a solid business. We know what you need and create the technology solutions to ensure your business operates well and with as much automation as possible, to save you time and allow you to do the things you are passionate about. You have a goal, direction and focus and like all successful people you seek support and nurturing along with advice on how to make that a reality. We run business information sessions on topics such as drought assistance, women in business, technology, start up advice, structures and understanding your numbers. We create a group and tribe for you to be a part of to connect to and seek feedback from as well as having your accountants on hand to answer questions and support your business. Did we mention Xero? Don’t pretend like you haven’t heard about it. It is the be all and end all of the accounting software world and more than just accountant nerds get excited about it. Ask anyone using it what they think and it will be the same answer ‘we love it’. 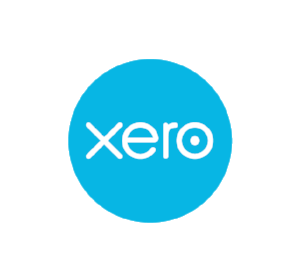 So we will get you into that same xero euphoric state, if you aren’t already, or show you how great life is with xero and some real time reporting in your life. Gone are the days of trying to work out where you are up to, spending 12 hours a month on your accounts – if you want a business and a life you WILL be on xero and we WILL be showing you how great your business and life can be.